South Akron is taking the spiritual reflections of Good Friday and applying them to the streets of our own city. Is the Summit County Jail our own Golgotha? 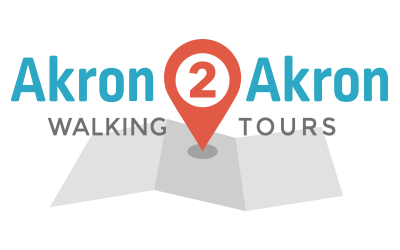 As Christ carried his cross, he stumbled, what places in Akron are there for individuals who stumble? This will be a reflective walk focused on the Christian tradition, but open and with applications for all. A ritual procession through the 14 steps of the Passion of the Christ, from sentencing, to the death on the cross, to the burial. The Via Dolorosa is the Way of the Cross. The Via Dolorosa -- South Akron walk will be a liturgical walk from the Downtown Courthouse to the Summit County Jail to commemorate and reflect on Good Friday through actual geographical places in Akron, reflecting on our own spirituality, the justice issues of our own city, and the death of Jesus Christ. Parking: Participants can park at Front Porch Cafe (798 Grant St.) and be transported to the start of the tour OR can park downtown and be transported back to their vehicles at the conclusion of the walk. Click here for a downtown parking map.
" I love connecting the spiritual to the real. Just as Jerusalem was (and still is) a real place, so is South Akron. The spiritual reflections of the Easter season should affect the whole of our lives, including our neighborhoods." This is an independently led walk. Click here to create, organize, and lead your own walk!